United Nations: India on Friday ripped into Pakistan, describing it as "terroristan" and a land of "pure terror" that hosts a flourishing industry to produce and export global terrorism. 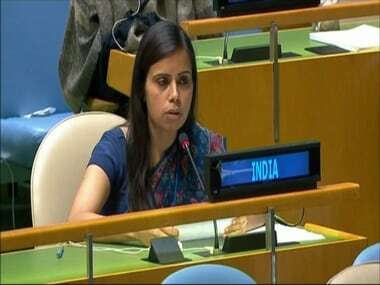 In a no-holds-barred speech at the UN General Assembly, India's representative said it is extraordinary that the state which protected Osama Bin Laden and sheltered Mullah Omar should have the gumption to play the victim. India was exercising its right to reply after Prime Minister of Pakistan, Shahid Khaqan Abbasi raked up the Kashmir issue at the General Assembly. "By now, all Pakistan’s neighbours are painfully familiar with these tactics to create a narrative based on distortions, deception and deceit", Eenam Gambhir, a First Secretary in the Permanent Mission of India to the UN, said, asserting that efforts at creating alternative facts do not change reality. "In its short history, Pakistan has become a geography synonymous with terror", she said. Playing on the country's name, which means "land of pure," she said the quest for a land of pure has actually produced 'the land of pure terror'. Pakistan is now 'Terroristan', with a flourishing industry producing and exporting global terrorism", she said. 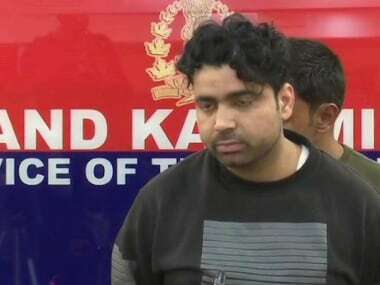 Gambhir noted that Pakistan's current state can be gauged from the fact that Hafiz Mohammed Saeed, a leader of the United nations designated terrorist organisation Lashkar-e-Taiba (LeT), is now sought to be legitimised as a leader of a political party. She said that Pakistan's counter-terrorism policy is to mainstream and upstream terrorists by either providing safe havens to global terror leaders in its military towns, or protecting them with "political careers". 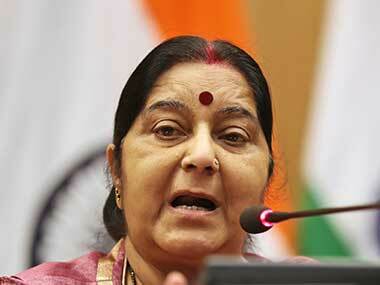 "The state of Jammu and Kashmir is and will always remain an integral part of India. 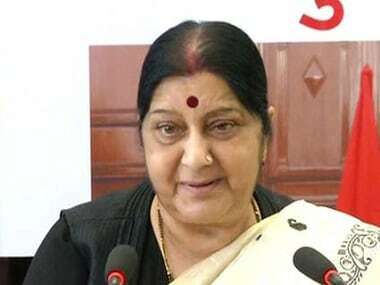 However much it scales up cross-border terrorism, it will never succeed in undermining India’s territorial integrity", she said. Earlier, Abbasi accused India of indulging in terror activities against his country and warned of a "matching response" if it "ventures across the LoC" or acts upon its "doctrine of limited war against Pakistan." He urged the United Nations to appoint a special envoy to Kashmir, claiming that the struggle of the people in the region is being "brutally suppressed" by India. He also claimed that there are no Taliban safe havens in Pakistan. "Having suffered and sacrificed so much due to our role in the global counter terrorism campaign, it is especially galling for Pakistan to be blamed for the military or political stalemate in Afghanistan", Abbasi said. own territory, Pakistan is now speaking of the high cost of its terror industry. "The polluter, in this case, is paying the price", she said. "Even as terrorists thrive in Pakistan and roam its streets with impunity, we have heard it lecture about the protection of human rights in India. The world does not need lessons on democracy and human rights from a country whose own situation is charitably described as a failed state", Gambhir said. "Terroristan is in fact a territory whose contribution to the globalisation of terror is unparalleled. Pakistan can only be counseled to abandon a destructive worldview that has caused grief to the entire world. If it could be persuaded to demonstrate any commitment to civilization, order, and to peace, it may still find some acceptance in the comity of nations", she said.